Yesterday my sister and I had a day out in New Norfolk in the Derwent Valley. 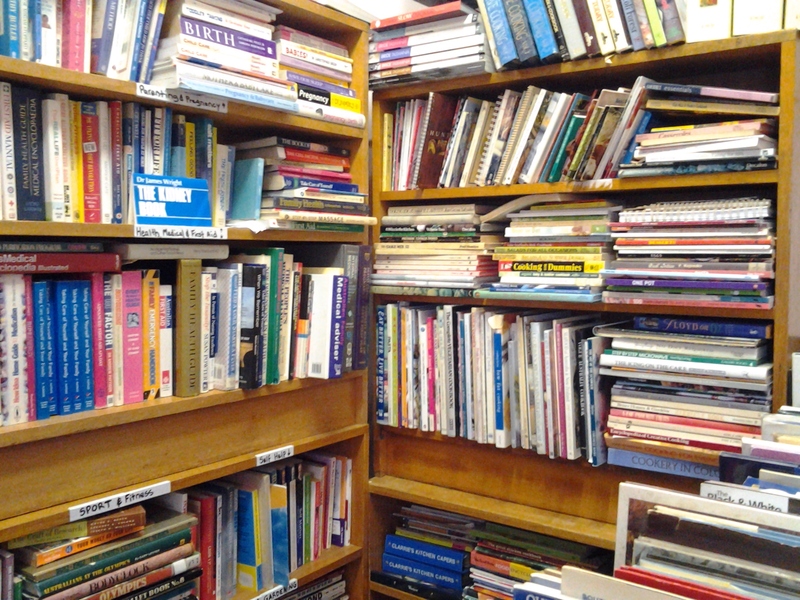 We like the town because it has several antique shops, not all of them the expensive kind. Our current favourite is a big one at a place called Willow Court. Willow Court was once known as the Royal Derwent Hospital and was used as a mental hospital. I hope to write about it in the near future in my other blog. We had a very interesting time browsing although there were not a lot of dolls on this occasion. 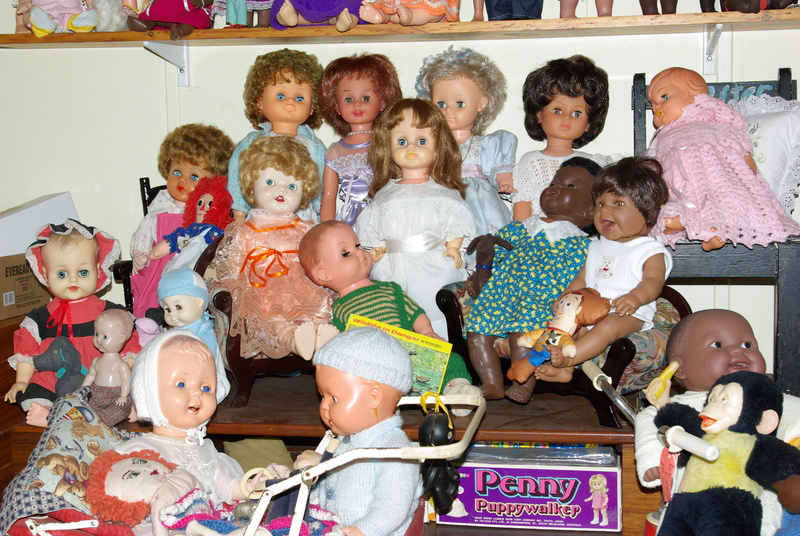 We did find a small basket of miscellaneous dolls all priced at $5. 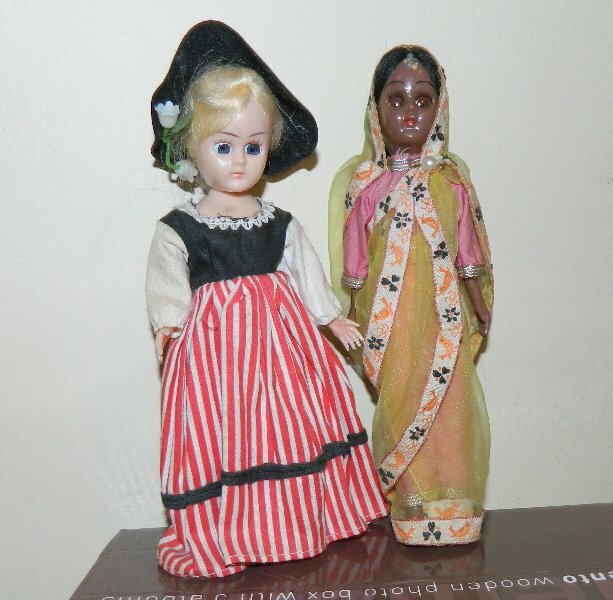 One of them was this hard plastic, sleep eyed doll in national dress. I am not sure what country she represents but it puts me in mind of Singapore. 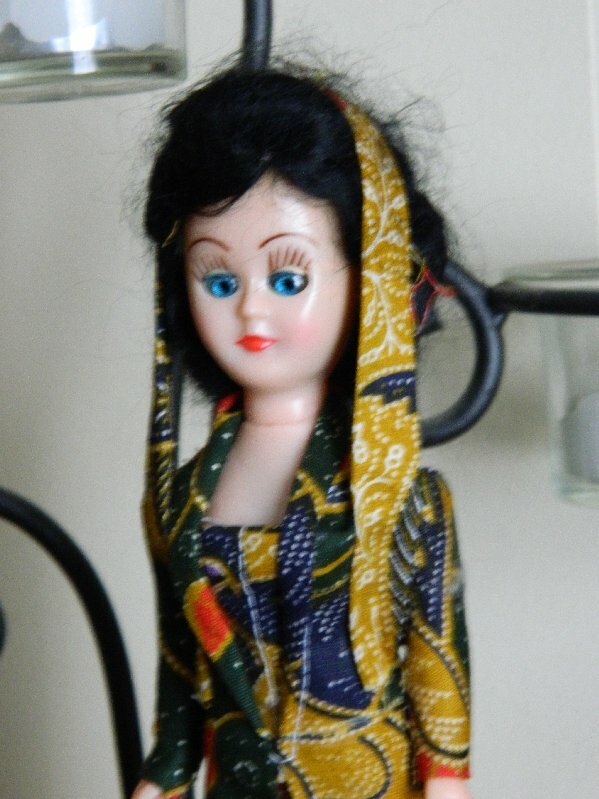 I have several other costume dolls similar to this one and as some are childhood dolls I am pretty sure that this one dates to the early/mid 1960s. Her hair is glued on mohair and she has strung arms. I think she is rather nice. Hard plastic doll with sleep eyes. 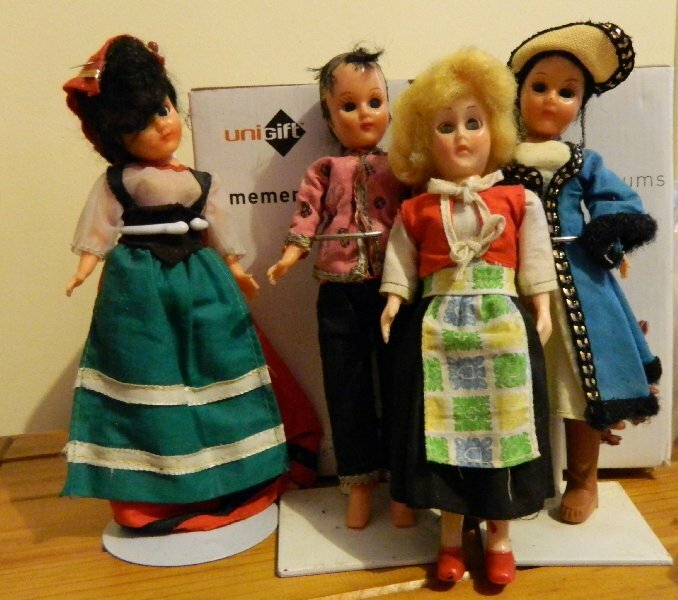 Here are some of my other costume dolls who are similar. One poor girl lost her hair while being stored. These two I bought later but they are very similar to the ones I had as a child. 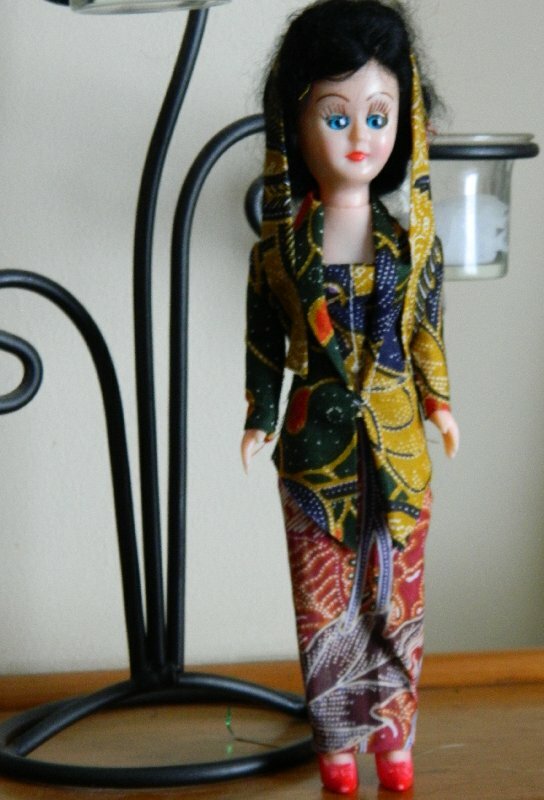 I like the eyes on this one and her batik outfit. Lovely!